Scalia will be remembered among the handful of justices who made a lasting impact on the law, such as the Great Chief Justice John Marshall, whose leadership of the Supreme Court in its early years truly made it a co-equal branch of government with Congress and the president, and Justice Joseph Story, whose Commentaries on the Constitution inform the way we think about constitutional principles to this day. In his nearly thirty years on the Supreme Court, Scalia helped bring about a revolution in constitutional and statutory interpretation. When he arrived at 1 First Street, NE in 1986, legislative history was considered more instructive than the text of a statute for determining its meaning. Likewise, a majority of justices thought they should weigh policy options as though they were legislators charged with deciding what the law ought to be, rather than judges who determine what the law requires. Scalia thought otherwise. Along with champions of originalism and textualism including Ed Meese, Clarence Thomas, Robert Bork, and others, Scalia believed that the Constitution and laws should be interpreted based on their actual text and original public meaning. What is remarkable about this case is that even the dissenting opinion by Justice John Paul Stevens looked at the history and text of the Second Amendment. Though four justices would have reached a different conclusion, all nine agreed that the meaning of the Second Amendment should be derived from looking at the common law tradition and what influenced our Founding Fathers when they wrote that language, rather than solely modern policy considerations about the safety of guns. 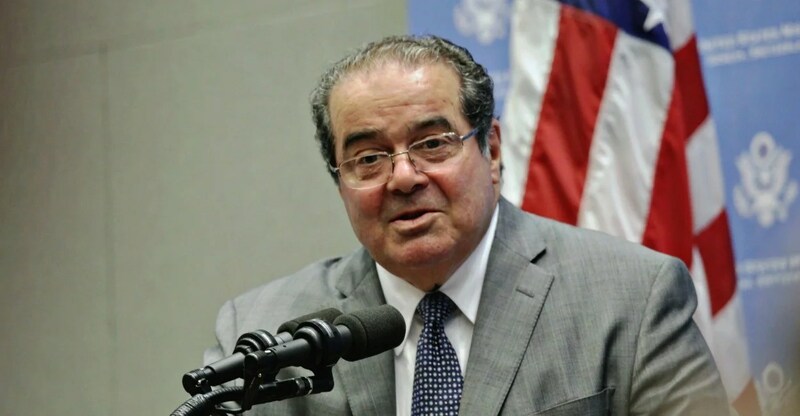 Justice Scalia was a law teacher, public servant, legal commentator, and jurist nonpareil. As a colleague who held him in highest esteem and great affection, I miss his bright company and the stimulus he provided, his opinions ever challenging me to meet his best efforts with my own. It is a tribute altogether fitting that George Mason University’s law school will bear his name. Scalia’s revolution led to a generation of law students, lawyers, and judges who interpret the Constitution as it was written; and not how they wish it was written. George Mason University joins in helping this legacy flourish with its decision to rename the law school the Scalia School of Law. In a press release, law school Dean Henry Butler said of Scalia, “As a professor and jurist, he challenged those around him to be rigorous, intellectually honest, and consistent in their arguments.” What better virtues could be taught to the next generation of lawyers? Elizabeth Slattery writes about the rule of law, the proper role of the courts, civil rights and equal protection, and the scope of constitutional provisions such as the Commerce Clause and the Recess Appointments Clause as a legal fellow in the Heritage Foundation’s Edwin Meese III Center for Legal and Judicial Studies. Read her research.